The funds will be used for team expansion and development of the VegFru platform as well as mobile apps for buyers and sellers, Chopra, who is also the CFO of Wingify, told VCCircle. “Our expansion plans include presence in 15 major clusters in India so as to onboard vendors and facilitate trade efficiently,” he added. “There is a very informal usage of technology when it comes to the whole supply chain of fruits and vegetables. You don’t see many innovators in the B2B agriculture space using technology,” Paras Chopra, CEO of Wingify told VCCircle. 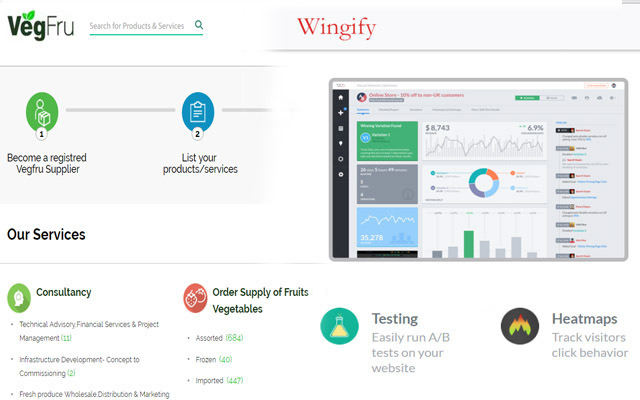 In November 2015, Wingify had Navilytics, a visitor analytics solution platform for websites. In September 2014, it had acquired Chicago-based Concept Feedback LLC, a community for locating and contracting with website design and user experience (UX) experts, for an undisclosed sum.